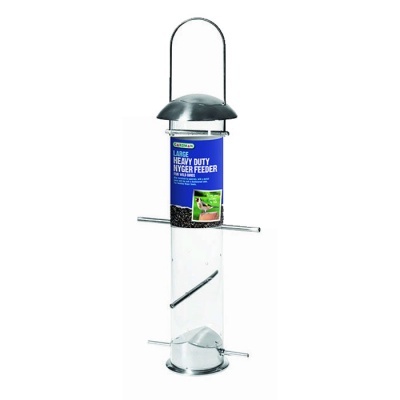 Gardman Heavy Duty Large Nyger Seed Feeder for Wild Birds provides an all-metal construction squirrel bite-resistant feeder for nyger seed. 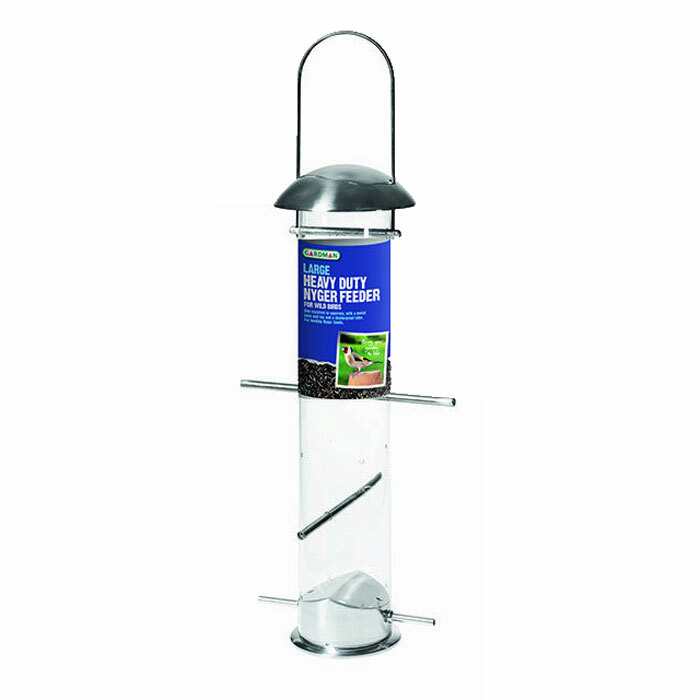 A ready-to-hang wild bird feeder with easy re-fill lift-top lid and shatterproof tube for feeding nyger seed to wild birds. Screw threaded bottom for Gardman feeder pole mounting and removable metal side perches (allen key provided). Approx Nyger seed feed capacity is 500g.